ZION LUTHERAN – Worshiping, learning, witnessing, & serving community of baptized persons. 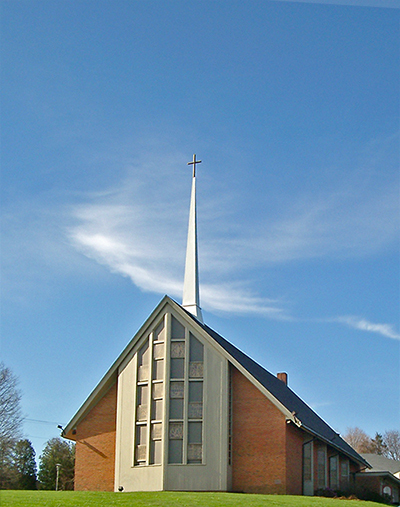 Zion Evangelical Lutheran Church is a worshiping, learning, witnessing, and serving community of baptized persons, among whom the Word is proclaimed and the Sacraments are celebrated. Sunday Coffee Hour, 10:15 a.m.
Saturday Worship & Potluck Dinner, last Saturday of the month, 5:30 p.m.
Children’s Sunday School and Confirmation, 1st and 3rd Sunday, 10:15 a.m.
Sunday Adult Education, 2nd and 4th Sunday, 10:15 a.m. Call for information if you would like to learn more or if you are interesting in becoming a member. Upcoming events listed below. See Outreach for complete calendar and event details. April 6: Work Day at the Church, 9 a.m. to 1 p.m.
April 7: Sunday School 10:15 a.m.
April 14: Palm Sunday Worship begins outside, weather permitting, 9 a.m.
April 15: Grace Guild, 1 p.m.
April 18: Maundy Thursday Worship, 7 p.m.
April 19: Good Friday Worship, 7 p.m.
April 21: Easter Celebration, 9 a.m.
April 27: Cruise Night at Valli’s in memory of Kenny Fletcher, 3 – 7 p.m.
April 27: Saturday Worship & Potluck Dinner, 5:30 p.m.
Choir: Chime Choir, Wednesdays at 4:30 p.m. and Adult Choir, Wednesdays at 5:30 p.m. Anytime: Adult Online Education, contact Pastor Kari to be added to the Google Classroom. Anytime: Cookbooks still available, $12 each. Looking Ahead to 2020: Celebrating 50 Years of the Ordination of Women in the Evangelical Lutheran Church in America.